Design West 2013 runs April 22nd through 25th at the McEnery Convention Center in downtown San Jose, CA. This is the second year for the 4-day conference that emphasizes hands on education, training sessions and interactions with the leading electronics suppliers. The “Expo Only” passes are available free by Online Registration through April 18th, and onsite during the conference April 19th through 25th. Until they reach the maximum number of free passes, you can register online using promo code TECHFUN for your upgraded All Access pass which includes lunch ($60 value), or your FREE Expo Pass. Upgrading to the “Expo Pass Plus” for $200, less any discounts such as IEEE Membership, will add the Conference Proceedings and a 3 classes. 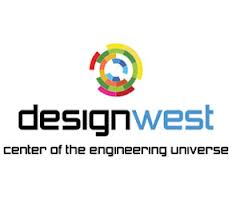 DESIGN West is the world’s only technical conference and expo for electronics design engineers, entrepreneurs, and technology professionals who create products with electronic content. Held in the heart of Silicon Valley, it is where the world’s top design engineers and product developers gather and learn, gain inspiration, and get practical information and hands-on training they can put to immediate use. Launched in 2012, the four-day DESIGN West event builds upon the solid foundation of engineering education pioneered by the Embedded Systems Conference (ESC). Celebrating its 25th anniversary in 2013, ESC is joined by popular design summits including Black Hat and the Android Certification Program. If the east coast venues, or fall conference dates, better suit your schedule then consider attending DESIGN East . For anyone in the electronics community, this is an event to attend. Whether it’s to augment your technical skills, learn about new products and vendors, or to network with industry experts, there is something here for everyone.